I can’t wait for you to hear today’s guest’s stories and his wisdom. Vincent has been a professional photographer for more than twenty three years and an international award winning sports and documentary photographer. He’s photographed just about every subject imaginable, including three U.S. Presidents, the Dalai Lama, Muhammad Ali’s seventieth birthday party, Superbowls, the World Series, NHL finals, the Kentucky Derby, and even Wrestlemania. Vincent and his wife Elizabeth own and run Elizabeth Vincent Photography, which specializes in documentary wedding and corporate photography. When he’s not with his family or shooting, Vincent also coaches freelancers on how live a life of financial, time and life freedom, specifically through the world of self-employment. 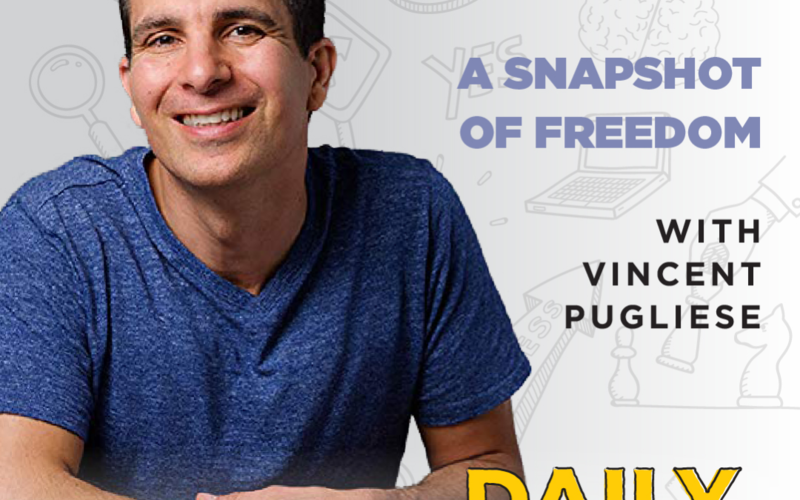 Vincent teaches those looking for time and money freedom through mastermind groups, The Freelance Tribe membership community, and through one-on-one coaching. The Golden Day Rule – ask for the rates you truly deserve; don’t settle. Choose one day a year to raise your rates up to your ideal amount. See what happens. Know your F.R.U.I.T. (Food, Residence, Utilities, House, Transportation). Write out the total amount needed to pay for each of those things in your life. Most people underestimate that amount.